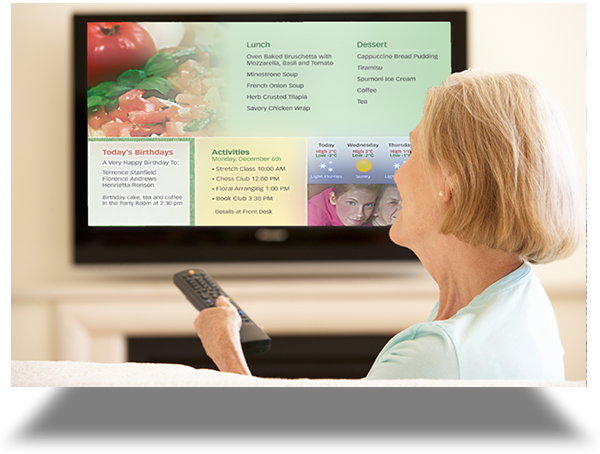 Add community-specific content to your own web-based communication platform and TVs in your building. 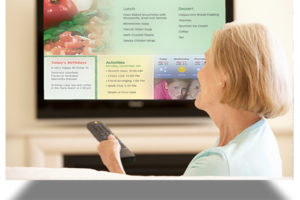 News and weather headlines are automated, updates to content are instant, and formatting calendars and menus are a breeze. Residents or staff can submit requests, such as dining room service, maintenance, or compliments and complaints. Requests are submitted directly to the appropriate contacts and all further communication is logged. 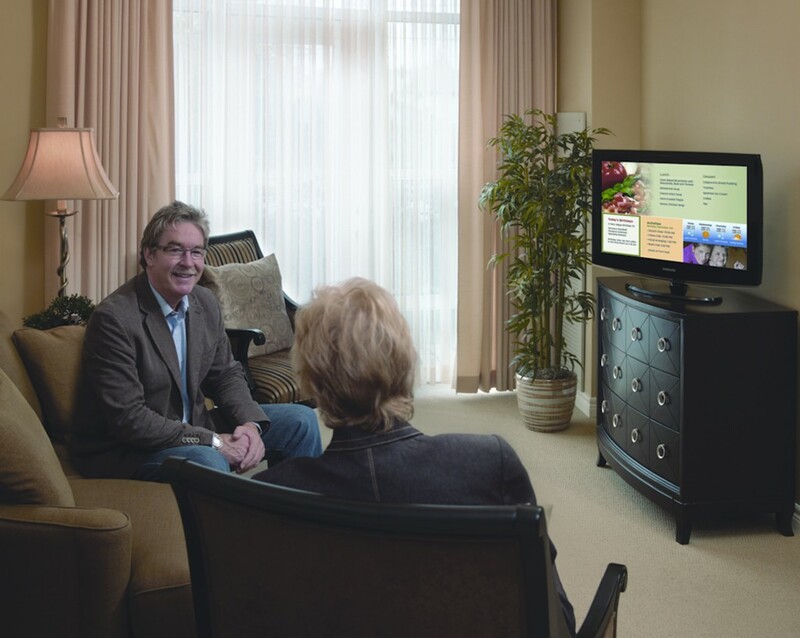 A cutting-edge, digital video system broadcasts live activities and programming to each suite via your InTouchLink TVs, which opens ample possibilities. 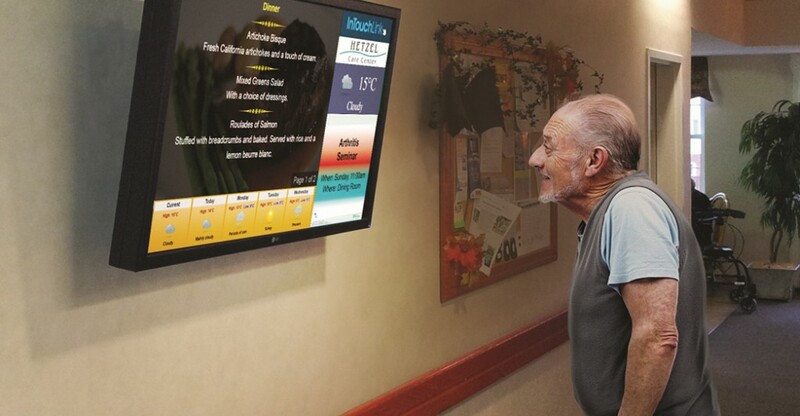 Suite-confined residents can participate in activities, a front door camera can allow residents to watch for guest arrivals, and residents can run a regular news broadcast. 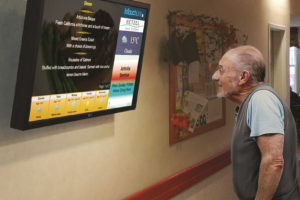 Common locations for InTouchLink TVs (with different configurations and content options available) include the lobby, dining room (for menus) and activity room (for a list of daily activities).